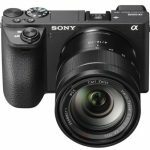 During this month of May we have been lucky enough to try out one of the most interesting models of the latest batch of Sony: the Sony A5000. We are before the entry model of spectrum of the popular CSC of the brand, with a very competitive price. We have also to highlight that it is presented as the smallest and lightest camera with APS-C sensor and interchangeable optics of the market. We have to be honest, the Sony A5000 surprises because of its small size and its lightness. The sensation as we grab it is that what we have in our hands is a prototype model. It is however a camera with a CMOS sensor size APS-C, like many Reflex, with a Bionz X processor, which is the same as the one from the last A7 or A7r, one of the most powerful of the market. It is very well designed, and even if it is small, one has no trouble using it even with big hands. The buttons are where they need to be in order to avoid weird contortionisms with the hands. The trick is that it breathes from its four flanks the essence of the old NEX, whose culmination point was model NEX7. Now, the NEX denomination has disappeared in favor of ALPHA. Everything stays the same, with the image quality that has been its main source of success. As we will see ahead, the big problem is still the same: The low quality of the offered kit lenses, like the Sony E 16-50 mm f3.5-5.6 OSS.I do not understand the reason for offering an accessory that destroys a camera’s best qualities. As a new model, it offers all the novelties connectivity wise, like last generation wifi, or the wireless NFC connection that is only possible with compatible smart phones and tablets. Another curiosity is the tilting screen, ideal for taking the popular selfies. We have in our hands a light camera, so there are some that says the camera can be operated with one hand. That would be a huge mistake. The best way to operate it is to hold it with both hands in order to compensate for its low weight, a source of problems for unfocused images. And even if it is a camera that can be used for every occasion, we cannot forget that it carries a 20Mp sensor of astounding quality that deserves a good and careful handling. It is a slow camera compared to what we are lately been getting used to. It shoots at 2.5 fps and also the buffer fills up pretty quickly, even if we have a fast card. It is not useful for making those everlasting flurries of pictures that many take in order to choose the best picture later. 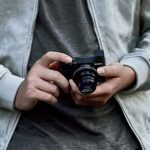 It is a beginner’s camera, for those who want quality without complexity. One of the features that we have liked best is the quality of the finishes, the handling and operating comfort and the possibility of controlling the zoom motor from the body of the camera, provided both parts are compatible. And even if the screen is not a touch screen, we have never once felt the need to change that, although we are sure that many people hooked on this technology, especially kids, will push this camera aside because of this. The access menu has been simplified a lot and each time it is more pleasant to adjust the parameters of a Sony. Far away are those models in which we had to be always with the instruction bulletin close by to find the path to the sensibility adjustment screen. It is not as user friendly as a Canon or a Nikon, but it is on the right path. We can quickly change the exposure modes, the image format, and the whites balance. The autofocus function, even if it is not last generation (it is not hybrid) responds with reasonable speed and we have hardly seen it falter, although at night and in dark places it has had some small problems. What we have noticed though during these two weeks of use is that the on and off response speed varies. Sometimes we can turn off the camera quickly, but on other times the lens takes too long in figuring out the order and takes a few seconds to turn off. It could be a problem with the unit we have been given, but it is something that draws the attention. The tilting screen for the selfies is something curious, a passing fancy, but that will no doubt make some people lean towards buying it. What we have to highlight however is its ease of use. One can take it out from its package and start using it right away without problems. The Sony CSC system is one of my favorites, and if I were to buy a camera right now, this system would be one of the first candidates. But if there is something that makes me hesitate is the terrible quality of their simplest lenses. I have never tried one with so much distortion, vignetting and more lens related problems before. On the picture bellow, I promise you that the window frame is completely straight, yet it looks curved. The solution is to fix everything using the software, but when you shoot on mode RAW, all its defects are brought to light and must be corrected immediately on the editing program. 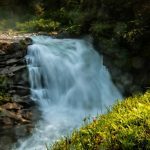 The Sony E16-50 mm f3.5-5.6 OSS PZ is a pretty bad lens that makes it impossible to show the high attributes of the sensor and the processor. Everything changes when the camera is tested with the excellent Sonnar T* E 24mm F1.8 ZA, the lens that has been lent to us to test and certify that if the quality of the image has any problems, is the fault of the lens that comes with the kit. It is expensive, as it costs three times more than the body of the camera, but it is worth it. That is why, whenever we buy any of the ALPHA Sony cameras, we will have to invest always on better lenses tan those included on the kit. It is a problem that has been dragged by the brand for a while and that should be solved soon, as it tarnishes the brand’s image. We should now talk about what really matters, that is the image quality and how it responds to high sensibilities. We can’t forget that inside the camera there is a last generation Bionz X processor working, and this is something that should be noted, especially if we take into account the size of the sensor. If we stick to the ISO comparative that we have done with a color chip, we can say that the SONY A5000 offers perfect results up to 3200 ISO, and if we are not very picky, we can go up to 6400 ISO. There is no sense in venturing beyond. The higher sensibilities are just useful for publicists. However, if we see the museum photographs that accompany this article, the 16000 ISO results appear not to be so catastrophic. They are not very good but they can be used as souvenirs. Everything depends, as always, on the environment conditions and the light quality and on how demanding we are with ourselves. But to avoid problems, we should refrain from shooting at high sensibilities unless it is strictly necessary. We find ourselves before the entry CSC Sony camera. It has a small body with good quality on the finishing and some features that positions it over the average of its category. 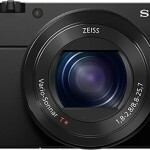 We could say that it is a compact camera with the possibility of changing lenses. This makes this model win many points in the eyes of the future customer. Many of us search cameras that we can take with us every day but that will give us high quality, and, if on top of that we can change lenses, then it is even greater. It is a camera that is easy to operate, with the connectivity possibilities that are now offered by all new models on the market. They say that it is so we can quickly send what we are experiencing, but the real use is to make safety copies and send photos to clients on their tablets. However, we have to buy a batteries array if we want to last the whole day, as energy consumption is still pretty high and on top of that we have to always have the TFT screen turned on. Whenever we have to shoot, and if you are a friend of the histogram, it is not as agile as we would like to, as to change exposure compensation you have to go through the menu, which prevents one from being quick. I don’t understand why they do not give the option of doing it directly, as it is done on the majority of the cameras. The viewfinder seems like a lost battle. Everyday fewer cameras incorporate it, and leave it for higher models. It is a shame to lose such a helpful feature. The screen, like all screens, can’t be seen in high luminosity conditions, and it would be great to have a small electronic visor, but now it seems those things have to be paid separately. In short we are talking about a semiprofessional sensor hidden on the body of an entry level model camera with very good features. For 499 dollars approximately, we can have in our reach a high quality machine thanks to its great sensor. Previous Samsung will offer one NX30 for free for those who drop the SLR in New York. Next Nikon could shortly launch a new Coolpix with a one inch sensor.